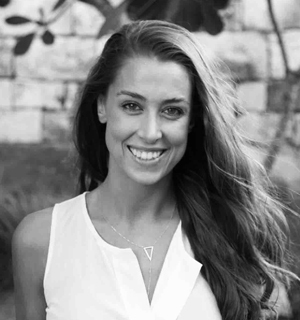 The First prize, the Mietta Prize $5,000 was awarded to Laura King, who also won the Arnold and Mary Bram Australian Song Prize and The O'Donnell Family Prize with $4,000 for the study of Italian language and culture. The Audience Choice Prize went to Max Riebl. Zoe Drummond was awarded $2,000 for the second place. The Hugh D.T.Williamson Prize (First Prize Pianist) of $5,000 was awarded to Jonathan Wilson. Benjamin Burton won the Second Prize for a Pianist $2,000. A truly international singer, Australian baritone David Greco has been based in the Netherlands and Germany for the last 7 years. David has sung throughout Europe’s finest concert halls, from Théâtre des Champs Elysées to the Vienna Konzerthaus, last year making his debut at the Royal Concertgebouw, Amsterdam. He has been engaged by some of the most exceptional ensembles, most recently appearing at Festival Aix-en Provence with Freiburg Barokorchester, and at Glyndebourne Festival Opera with Orchestra of the Age of Enlightenment. He has toured throughout Europe extensively with orchestras The Academy of Ancient Music under Richard Egarr and Amsterdam Baroque Orchestra under Ton Koopman. 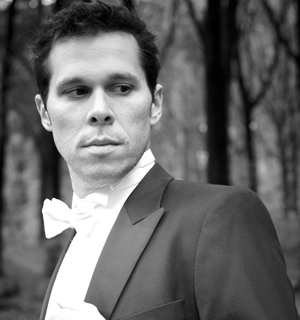 Since first appearing with the Australian Brandenburg Orchestra in 2003, David has been engaged frequently as a soloist with the nation’s flagship orchestras and ensembles, including the Australian Chamber Orchestra, Sydney Symphony Orchestra, Tasmanian Symphony Orchestra, Sydney Philharmonia Choirs and Pinchgut Opera. In 2015 David was given the honour of being the first singer to work with the Australia’s all period classical orchestra, the Australian Haydn Ensemble. In April last year, he was invited to perform Aaneas in Purcell’s Dido & Aaneas in Leo Schofield’s newly formed Brisbane Baroque Festival. This year he has been invited back to the festival to sing King Arthur of Purcell. Whilst in the UK David was bass Lay Clark at Westminster Abbey Choir, and was given the privilege to sing with the Sistine Chapel Choir in Rome throughout 2014. Recent engagements include Wagner in Gounod’s Faust in a co-production with Lyric Opera Chicago in the Macau International Music Festival and concerts tours throughout Switzerland, Germany, Holland and France. 2016 sees David’s debut as a principle artist with Opera Australia in Prokopiev’s The Love of Three Oranges & The Eighth Wonder. He will also feature in concerts with Sydney Symphony, Sydney Philharmonia Choirs and the Sydney Chamber Choir In May David will perform Pergoloesi’s La Serva Padrona and Rossini’s Petite Messe Solennelle for Canberra International Music Festival. David’s Naxos Recording debut was recently released ‘Poems of Love & War’, featuring arias by the late New Zealand composer, Jack Body. Pianist Jonathan Wilson has recently returned to Australia after being awarded a Doctorate of Music (Piano Performance) by the University of Montreal, under the tutelage of Marc Durand and Paul Stewart. During the past ten years, Jonathan performed regularly throughout Australia, the United Kingdom, Canada, Germany, the Netherlands, Estonia and France. Highlights include solo performances at such prestigious venues as Wigmore Hall, St James Piccadilly in London, Australia House London (in the presence of the Governor General of Australia), the Jacqueline du Pre Hall in Oxford, the National Library of Estonia in Tallinn, the Glaaspaleis in Heerlen (Netherlands), the Birmingham Town Hall, and the Sydney Opera House Concert Hall. Jonathan Wilson particularly enjoys collaborating with singers and instrumentalists. His concerto performances include Mozart Concerto K414 with the European Union Chamber Orchestra (Bromsgrove Festival), Liszt Concerto no.1 with the Sussex Concert Orchestra, Tchaikovsky Concerto no.1 with Finchley Chamber Orchestra (London) and with the Sussex Concert Orchestra.  Jonathan’s recitals have been broadcast nationally on ABC Classic FM. Jonathan completed a Bachelor of Arts (Music) at the University of Sydney before relocating to London in 2006. His studies at the Guildhall School of Music and Drama were generously supported by the Australian Music Foundation, the Tait Memorial Trust, the Marion MacAulay Bequest Scholarship (Sydney University), and the Guildhall’s Sergei Rachmaninov Award, Phyllis Simmons Award and Dennis & Sylvia Forbes Award. Jonathan graduated from the Guildhall School of Music and Drama with Bachelor of Music and Master in Performance degrees. Jonathan went on to hold a prestigious Guildhall Junior Fellowship during 2010 – 2011 before moving to Montreal for his doctoral studies. 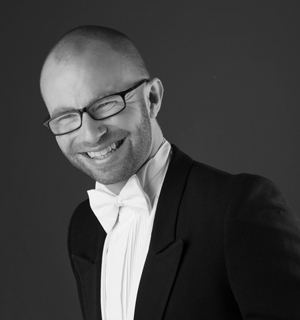 Jonathan Wilson has won numerous competitions including first prize in the Hastings International Piano Concerto Competition, second prize in the Australian National Piano Award and third prize and highest placed pianist in the Bromsgrove Young Artists Platform. Jonathan’s past teachers include Joan Havill and Anne Queffélec. He has participated in masterclasses with such well known pianists as Leon Fleisher, John Lill and Ferenc Rados. Countertenor Max Riebl began his stage career as a boy soprano and has since performed in operas and oratorios with the Australian Brandenburg Orchestra, the Victorian and Vienna Chamber Orchestras, the Australian Opera and Ballet Orchestra, the Royal Philharmonic as well as a host of baroque ensembles throughout Europe and Australia. He has sung in venues such as the the Dutch National Opera and Ballet, the Vienna Konzerthaus, and Musikverein, the Sydney Opera House, Melbourne Recital Center and Hamer Hall. He has performed works including Handel’s Orlando, Messiah and Dixit Dominus, John Blow’s Venus and Adonis and Purcell’s Fairy Queen, Bach’s Johannes Passion, Magnificat and B-minor Mass, Vivaldi’s Stabat Mater, Gloria and Nisi Dominus, Mozart’s Requiem and Pergolesi’s Stabat Mater. He has received top prizes in some of Australia’s most prestigious vocal competitions including the IFAC Australian Singing Competition, Herald Sun Aria and the Royal Philharmonic Arias. Born in Melbourne, Rosie began her Piano studies at age five. Six years later she was accepted to study under Professor Frank Wibaut, then director of the Australian National Academy of Music. At 14 Rosie moved to Vienna to study at the Universität Darstellende Kunst Wien. During this time she gave a series of public performances including solo and chamber shows in Salzburg and Vienna. In addition to this she participated in a number of Master courses notably those given by Professor Karl.H Kämmerling in Lindau and Bückeburg. Following her return to Australia, Rosie continued performing, competing and studying at the Australian National Academy of Music. During her two years at ANAM, she participated in master classes with an exciting array of international artists including Gary Graffman, Pascal Rogé, Boris Berman and Imogen Cooper. After two years at ANAM Rosie spent some time in New York and eventually moved to London. It was during this time that her current interest in composing and music for theatre, television and film began to emerge. After her time abroad she moved to Sydney where she received a first class Honours from the Sydney Conservatorium of Music. Rosie is currently performing and accompanying, as well as composing for solo performance and moving picture with a focus on contemporary classical music. Zoe Drummond is the proud recipient of the 2016 Dame Nellie Melba Scholarship and Patrick & Vivian Gordon Award with the Melba Opera Trust. In 2015 Zoe was granted the Trusts RJ Hamer Opera Scholarship and The Sydney Opera House Opera Award. Zoe recently completed a Bachelor of Music Performance (Voice) with First Class Honours at The Sydney Conservatorium of Music. During her degree, Zoe was awarded numerous scholarships for academic and musical excellence. Zoe was selected to represent the Conservatorium at the inaugural Estivo Chamber Music Festival in Verona, Italy. Operatic highlights include Monica in Menotti’s ‘The Medium’ with Opera Prometheus, Papagena in Pacific Opera’s ‘The Magic Flute’, ‘Flora’ in Britten’s ‘The Turn Of The Screw’ with Victorian Opera and ‘Lucy’ in Menotti’s ‘The Telephone’ with Penrith Symphony Orchestra. 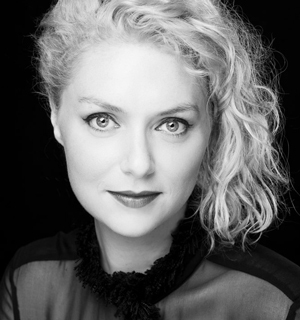 Zoe has performed extensively as a soprano soloist: in Mendelssohn’s Elijah; Gounod’s St Cecilia Mass; Brahms’ Ein Deutsches Requiem; Mozart’s Coronation Mass; Peterson’s Shadows and Light; Mozart’s Vespers K339; Haydn’s Theresa Mass; Schubert’s Magnificat; Handel’s Messiah; and Britten’s Rejoice in the Lamb. 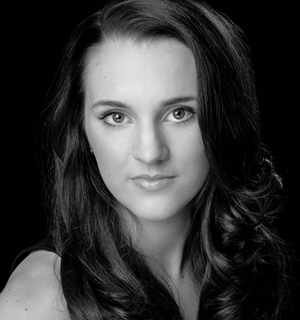 Zoe also performs nationally and internationally with The Seven Sopranos and Voci Stupende. Benjamin Burton is a talented young pianist with a passion for accompanying vocal and instrumental performances. 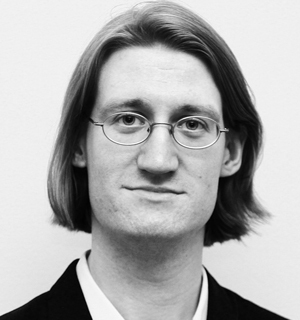 In 2014, Ben did an internship with Opera Australia, and travelled on full scholarship to Munich, Germany as repetiteur for the Bel Canto Summer Program. 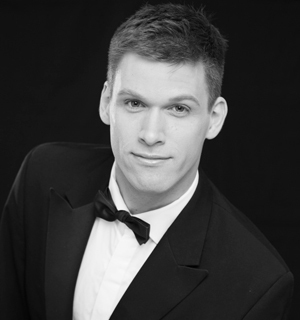 In his role as accompanist, Ben has performed all over the country, and in 2016 will be continuing to perform with Voci Stupende, be an official accompanist for the Sydney and Shoalhaven Eisteddfods, and for the third time be pianist-in-residence for the 2016 Moorambilla Voices Festival. 2016 also sees Ben giving recitals with Susannah Lawergren, Hannah Fraser and Andrew O’Connor of The Song Company, and performing as first pianist in Rossini’s Petite Messe Solennelle. 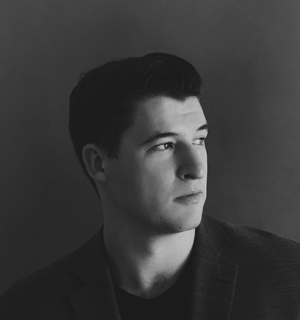 Ben studied Piano Performance with an accompaniment focus at the Sydney Conservatorium with David Miller and Bernadette Harvey, and has also studied with David Howie and Stephen Mould. In 2012 and 2013 he won won the Mollie Neale award for highest marks in accompaniment he has also participated in masterclasses with Yvonne Kenny, Glenn Winslade, Fiona Janes, Bernadette Cullen, Carlo Barricello, Sue Newsome, Dr. Michael Halliwell, Maree Ryan and Ole Bohn. From 6 Gesänge, Op. 89. From 6 Lieder aus ‘Lotosblätter’, Op. 19. From 4 Lieder ‘des Knaben Wunderhorn’, Op. 36. From Deux Poèmes de Louis Aragon. Visit our past competitions archive to view our past winners.